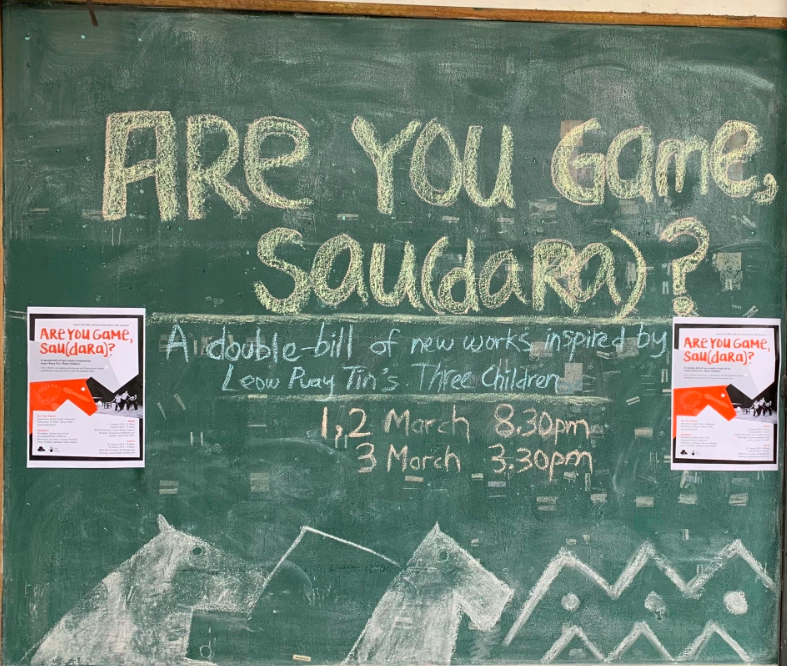 KUALA LUMPUR – Last weekend, we travelled up to Five Arts Centre, Kuala Lumpur, Malaysia, to catch the cross-Causeway double bill presentation Are You Game, Sau(dara)? Comprising two brand new works created in response to Malaysian playwright Leow Puay Tin’s seminal play 3 Children, we sat down with creators Fasyali Fadzly and Soultari Amin Farid, as well as dramaturg Grace Lee-Khoo, before we caught the show to find out a little more about the show. Produced in collaboration with Singapore’s Centre 42 and Malaysia’s Five Arts Centre, Are You Game, Sau(dara)? sees the presentation of Fasyali’s Are You Game? and Amin’s Sau(dara) (previously presented as work-in-progress as part of Centre 42’s The Vault), the former a series of ‘games’ the cast plays with the audience in teasing out the greater themes in 3 Children, while the latter is an exploration of those themes as interpreted and interwoven with the personal stories of four young Malay, female artists.